Would you like some free relationship advice? 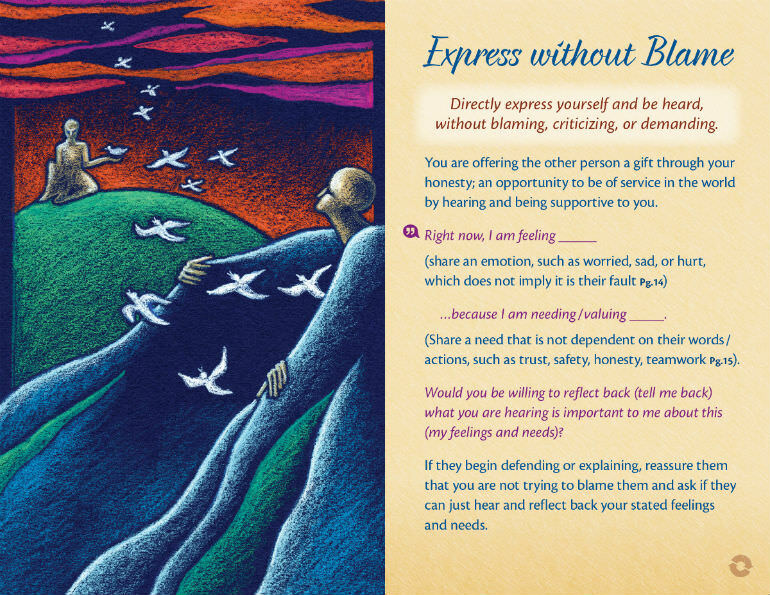 Access this free download of four cards from the 78-card deck for repairing and transforming relationship conflicts. This relationship self-help toolkit can be used with couples, friends, family and co-workers. Relationship advice and support has arrived! The Relationship Repair Game is your own hand-held toolkit for transforming and resolving conflicts. Download the following sample cards for free relationship advice that you can begin to use in your relationship today! Four examples of the deck's 78 cards are displayed here. 1. Submit your email address in the form below. 2. Click on the link that will be displayed. The deck's cards are 4" x 6", card stock with matte finish. Want to see more samples? For only $5, purchase a digital download of 22 cards from the deck and the entire 32 page instruction booklet. Thank you for your interest in the Relationship Repair Game! Click here to download print ready-samples. Help us spread the word! If you know other people or professionals that would benefit from these tools please send them a link to our website. Privacy Notice: Your information will not be shared with anybody. If you choose to subscribe to the mailing list, you will receive email notices of new product sales and updates no more than 2x/yr.